Michelle Cosby (J.D., M.L.S.) is the Associate Director of the Joel A. Katz Law Library. She formerly held positions as the Senior Reference Librarian at the North Carolina Central University School of Law Library, where she managed the reference department and participated in teaching Legal Research & Analysis and Legal Research & Persuasion. 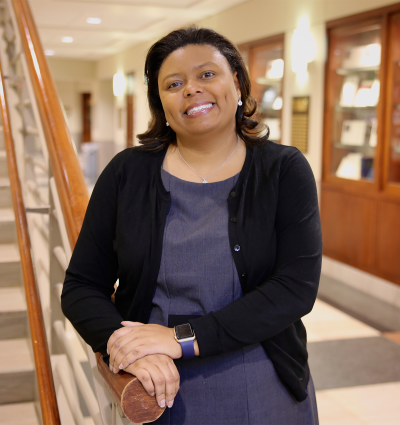 She also held positions as the Faculty Services Librarian at North Carolina Central University School of Law Library, Reference Librarian at the University of Kentucky College of Law Library, and Reference/Instructional Services Librarian at the University of Miami School of Law Library.